I've changed my header. Noticed it?Decided to changed it because I think the previous one starts to make everyone vomit blood. Designed a few headers before finally picking this one. Also, made the background white just because, I like it that way. Its simpler. Second day alone at home. #paw had been guarding the house like a boss. I'm so proud of her. The only thing I dislike about being alone here at home is that whenever I went walking around the house, #paw would jump on me. She wants me to play with her but I'd have time for that someday after all the bruises around my leg heals (also from playing with her). I don't blame her, really; I have sensetive skin so I bruise easily. My fiancee said I was lacking of some kind of a vitamins and some bones on my head? wtf. He googled something about not being able to read while the car is moving. That spells me. That's because everytime I read in cars, I'll start becoming dizzy and vomits all the way until the car stops. He said I was like the fish on National Geographic where scientist did an experiment on and conclude its similar to my condition. Geez, I'm no fish. Doesn't anyone have the same condition? This was my breakfast+lunch for today. 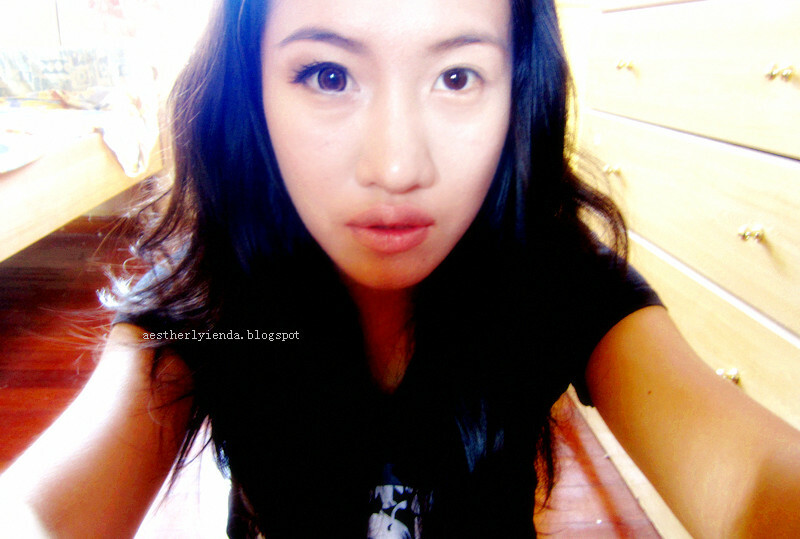 I skipped early breakfast because I had house chores schedule to fulfill. 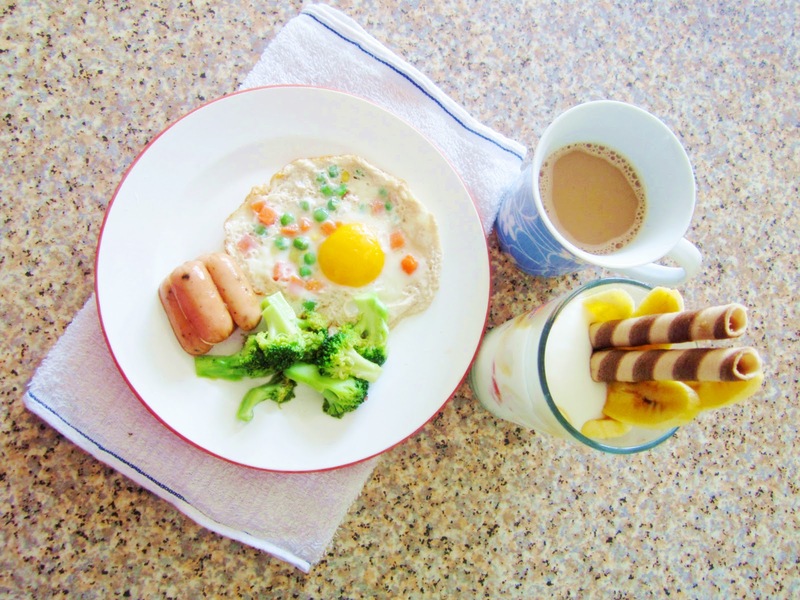 Eggs, mix vegetables, mini sausages, brocolli, coffee and yogurt with lots on stuffs I stack into it. I'm a happy girl. Big eyes, small eyes. This was yesterday. If you're on instagram then you would have seen this on mine. Been wanting to try this for so long. Videos coming up soon. Its been a while, haven't it? I'm so craving for rice and spam! Spam is so expensive. But what the heck, Rice and Spam for dinner tonight. PAWS UP!